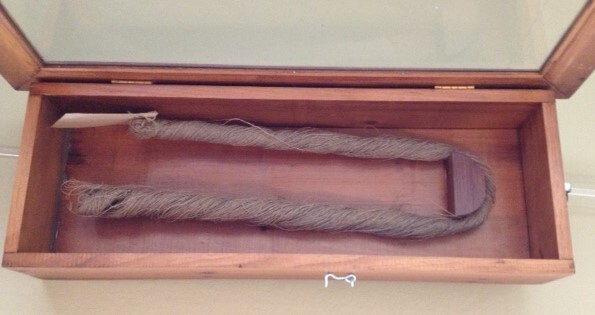 This finely spun skein of flax was lovingly kept in a hand-made case for decades before being donated to the Norwich Historical Society. The accompanying tag reveals that the flax was grown on Abel Bicknell’s farm on Bradley Hill Road and spun by Mrs. Abel C. Bicknell in 1862. Why did the Bicknell family keep this skein? What did it mean for them? What does its existence at the historical society mean for us? The skein offers us a portal to Norwich’s agricultural past. Just about every early farmer grew some flax from which would be made household linens and summer clothing. By 1862, however, when this skein was spun, the industrial revolution would have made the craft obsolete. For decades more and more machine-spun and woven fabrics had become available in Vermont’s rural stores. The need to spend hours upon hours processing raw flax, spinning, and weaving had come to an end. At the time Charlotte spun this flax, the Civil War was raging. Perhaps a lack of farm laborers spelled the end for flax production. For Charlotte, this might have been a welcome relief. She was born in Thetford, the oldest of four children on a 2500 acre farm. As the eldest daughter, she would have been set to mending and spinning early in her childhood. 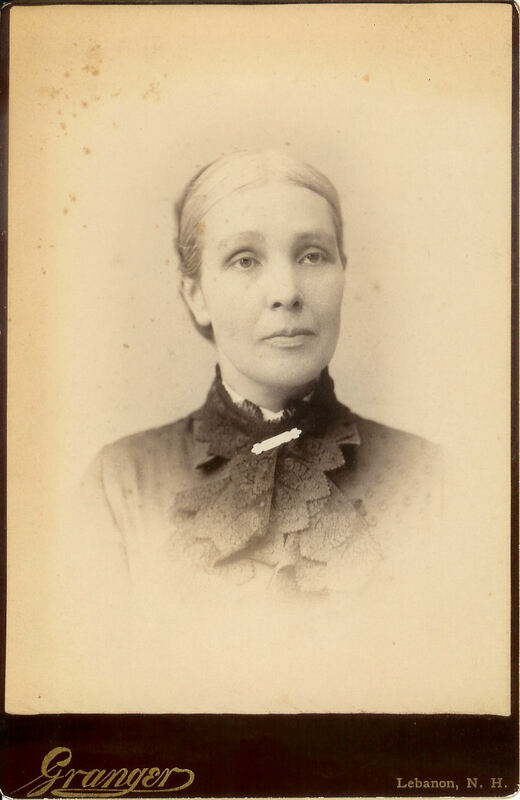 At age 18, she married Abel Bicknell and settled in with her in-laws on a similarly-sized farm on Bradley Hill Road in Norwich. Surely she would have taken up these chores, along with many others right away. The 1860 agricultural census reveals that the farm had 40 sheep and produced 200 pounds of wool. 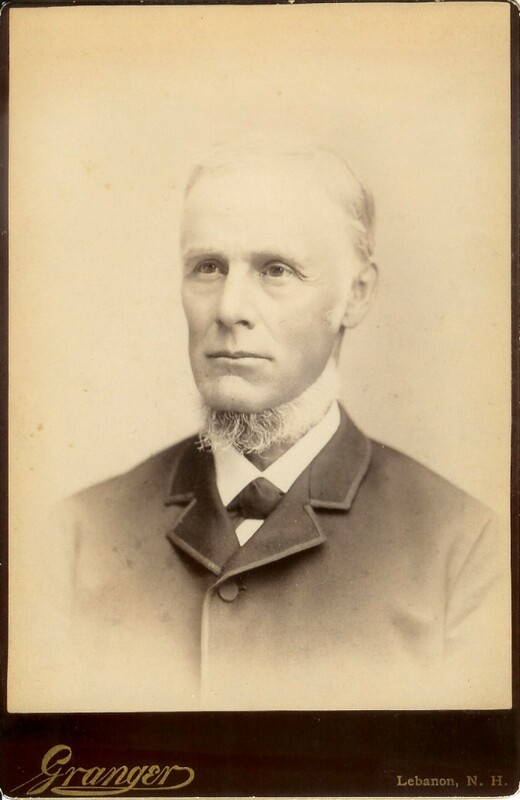 The Bicknells also produced 150 pounds of butter, 300 pounds of cheese, and 400 pounds of maple sugar. Crops included potatoes, Indian corn, oats, and wheat, but NO FLAX. In fact there was no flax grown at all in Norwich in 1860. For Charlotte’s grandchildren, the skein may have simply been a reminder of a beloved family matriarch. But, this skein may have also taken on new meaning. While it might just simply be a reminder of a beloved family member, the end of the nineteenth century was a time of industrialization, urbanization, and immigration. 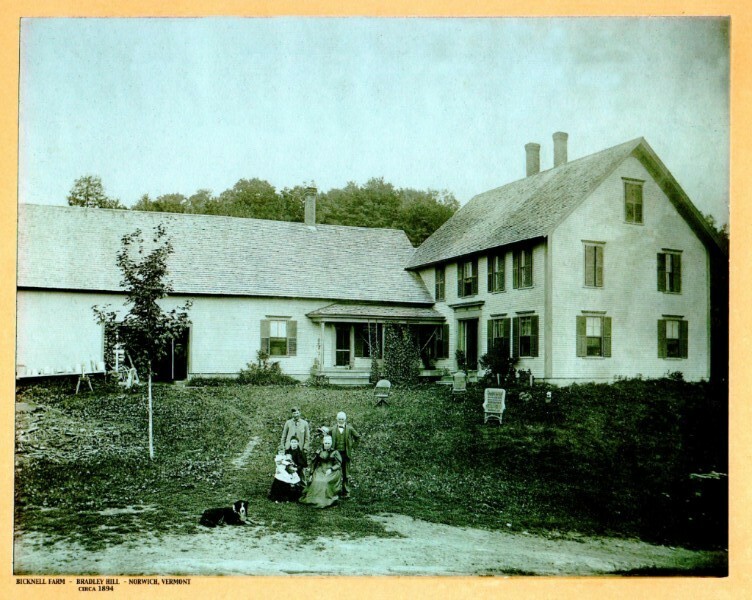 In Vermont, many hill farms had been abandoned and the vast fields were returning to forest. This flax skein might have reminded them of a busier, self-sufficient, productive time when hard work and centrality of the home were a steady presence. When I look at this skein of finely-spun flax, I imagine hot fields, a whirring spinning wheel, a tired woman, sentimental grandchildren, and generations of women honoring their family and farm. But it leaves me with questions. When was the flax grown? How many farms had looms? What textiles were being produced on farms? A trip to the Vermont State Archives to look at probate records would yield more insights into women’s work in Norwich history. If you are interested in finding out more about what was grown on your land, first see if you can figure out who was living on your land using the Beers Atlas. Then look up the farm on the hard copies of the agricultural census for 1850, 1860, 1870, or 1880 at Norwich Historical Society.